Are you a chip fan? This coupon may be for you! 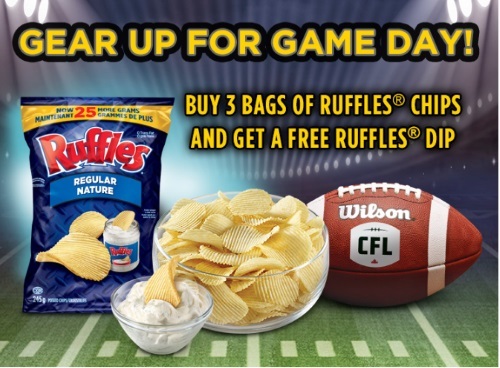 The Walmart coupon portal has a new coupon for a Free Ruffles Dip when you purchase 3 bags of Ruffles chips! This is a print coupon from Save.ca. Available while quantities last.